Already thought of joining Indian defense services? Alas... You are on the right path. Indian defense is one of the best services one could opt for being in India. It is a place where you could live for your country and think of serving and protecting its rights. Being surrounded by neighbors who do not tend to have good relations with our country it’s the need of time. Every youth want to contribute to its motherland but the real right is bestowed to the defense personnel’s only. They are the real heroes and have the power to do so. If you want to be one, identify the need of service for motherland in your heart and brain and then move ahead. SSB a wonderful 5 day stint and the gateway to be an officer with Indian defense requires a synchronization between your body, heart and mind. Whatever you think with your mind should without any conflict be agreed upon by your heart and should be reflected in your action with the help of your body. This synchronization helps in removing the duality of thought and action becomes result oriented. You never turn back to your decision for validation. Remember, an officer never has another chance to think whether the decision he has taken is right or wrong. The protection of motherland never gives another chance to think what’s next? If these three function together you are the right one to move ahead. 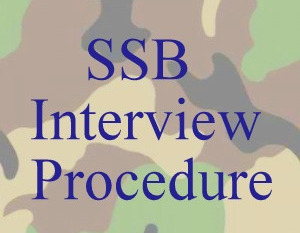 SSB clearly judges you as a person and recommends you only if you have sufficient OLQ’s. The parameters are stringent and are not changed for anyone. Popularity of defense is growing not because it pays you high but it’s the only place in India where no reservation applies. All are equally treated here and judged on tough parameters before clearing. 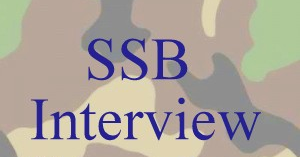 In next article I would be concentrating more on the hidden mantras to get success in SSB. This article tries to tell the advantage of being positive so be one. Still If you have any confusion or feel to take individual assessment of personality for OLQ’s or prepare from your place itself through one to one interaction through my mentoring / counselling program drop me a mail at jayendrapsingh@gmail.com or add me on Fb and drop in a message. Its always a pleasure to help aspirants and clear their doubts which are often myths that they hear from different resources, but I can suggest if you get the right guidance at the right time to resolve queries, everyone has the capability to make into defense forces. Just try it once. About the Author : Jayendra is pursuing MBA from IIM Ranchi and is a die heart counsellor, advisor and mentor for defence aspirants. He was recommended in the first attempt for Indian navy UES entry and is willing to help aspirants to make use of his experience in this field.